Istio recently announced that they are production ready. Service meshes are becoming an important level of abstraction for a developer using kubernetes. And Envoy is the heartbeat of this service mesh and continues its impressive growth. 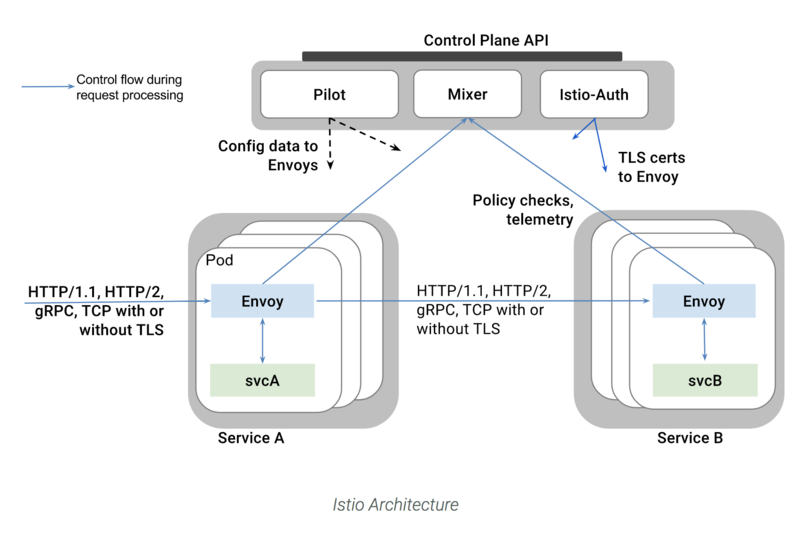 Istio reduces complexity of managing microservice deployments by providing a uniform way to secure, connect, and monitor microservices. I have previously designed and built cloud native architectures (especially on AWS). But I found that AWS have dropped the ball in relation to kubernetes. Azure and Google managed kuberentes services are more mature and Azure kubernetes offering is even free! 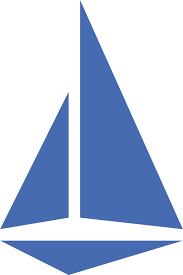 TLDR: I particulary like Azure AKS and below I will showcase how easy it is to create a cluster and run istio. Brendan Burns (co-founder of kubernetes and leading the azure container team) and Microsoft have invested wisely I feel in the cloud and are kicking goals. Read the latest blog from Brendan on the most recent releases and updates. Find the location you want to create the cluster and what version of kubernetes to run. Then create the cluster with three worker nodes. az aks get-versions --location "Australia East" --query "orchestrators.orchestratorVersion"
az group create --name myResourceGroup1 --location "Australia East"
This will deploy Pilot, Mixer, Ingress-Controller, Egress-Controller and the Istio CA (Certificate Authority). The previous step deployed the Istio Pilot, Mixer, Ingress-Controller, Egress-Controller and the Istio CA (Certificate Authority). Pilot - Responsible for configuring the Envoy and Mixer at runtime. Mixer - Create a portability layer on top of infrastructure backends. Enforce policies such as ACLs, rate limits, quotas, authentication, request tracing and telemetry collection at an infrastructure level. Ingress/Egress - Configure path based routing. This sample deploys a simple application composed of four separate microservices which will be used to demonstrate various features of the Istio service mesh. Before you can use Istio to control the Bookinfo version routing, you need to define the available versions, called subsets, in destination rules. "In the future, all the code you ever write will be business logic." Service mesh goes along way in helping you succeed that statement. The example below will send all traffic for the user "jason" to the reviews:v2, meaning they'll only see the black stars. Given the above approach, if the canary release were successful then we'd want to move 100% of the traffic to reviews:v3. With Istio's insight into how applications communicate, it can generate profound insights into how applications are working and performance metrics. The provided link opens the Prometheus UI and executes a query for values of the istio_double_request_count metric. Prometheus was recently promoted from CNCF as a graduate project, following kubernetes. This gives the global view of the Mesh along with services and workloads in the mesh. 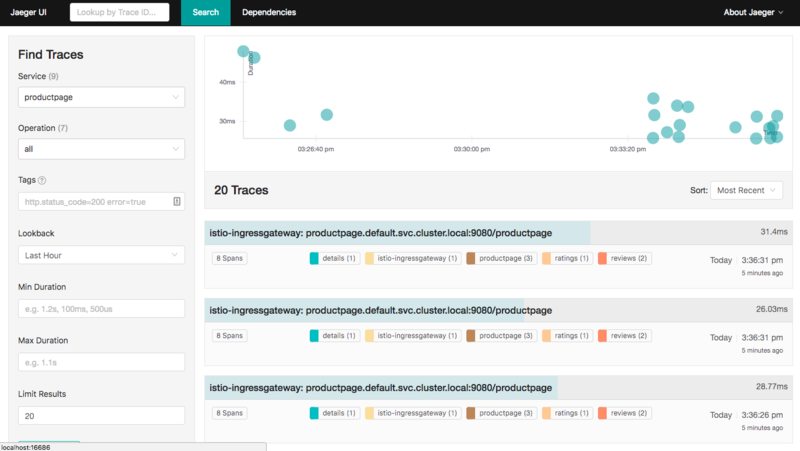 This task shows you how Istio-enabled applications can be configured to collect trace spans. After completing this task, you should understand all of the assumptions about your application and how to have it participate in tracing, regardless of what language/framework/platform you use to build your application. 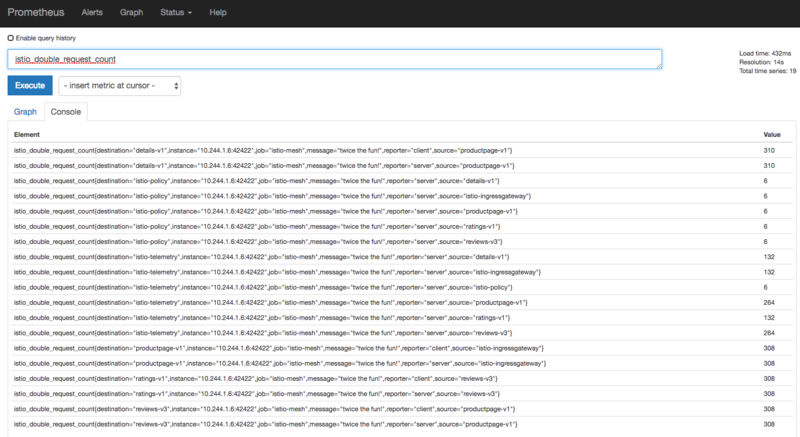 Access the Jaeger dashboard by opening your browser to http://localhost:16686. Dont forget to delete your cluster after your finished! Stay tuned for more posts on kubernetes.